Dr. Zahi Hawass had a very eventful week as he received three of the most prestigious awards. 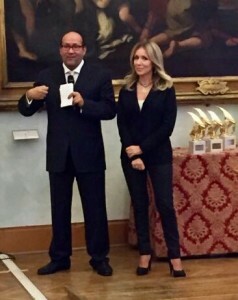 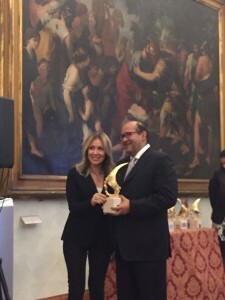 The first awards ceremony was the Capo Circeo Roma Award, held in Rome on October 20th. 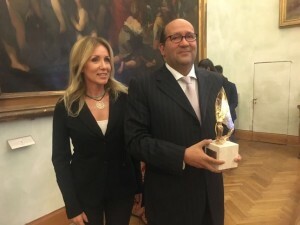 Ambassador Hisham Badr, Egypt’s Ambassador to Italy, has graciously accepted the award on my behalf due to Hawass’s prior travel arrangements to the United States at the time of the ceremony. 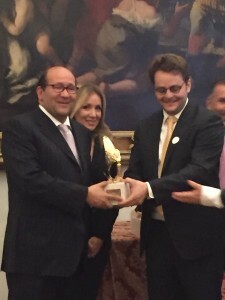 Many thanks to Ambassador Badr and the Capo Circeo Awards team for this generous award.